One of the issues that people often have when it comes to changing the tires is that they are going to have to pay a bit of money for the services. This can be one of the reasons that people consider trying to drive on winter tires during warmer seasons. 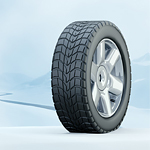 One thing that you will realize when driving on winter tires after the winter has ended, then you are going to have to change them really quickly. This will also cost you even more money. Fortunately, there are ways that you can potentially tons of money on tire changes. One thing that you can do is buy some wheels for winter tires, so that you can just change the wheels when the time comes. This can make the process quicker and simpler for those of you that are a little worried about finances and vehicle services. It is better to be safe than regretful.